Few would disagree that the central location of the hostel is the essential part of successful journey. 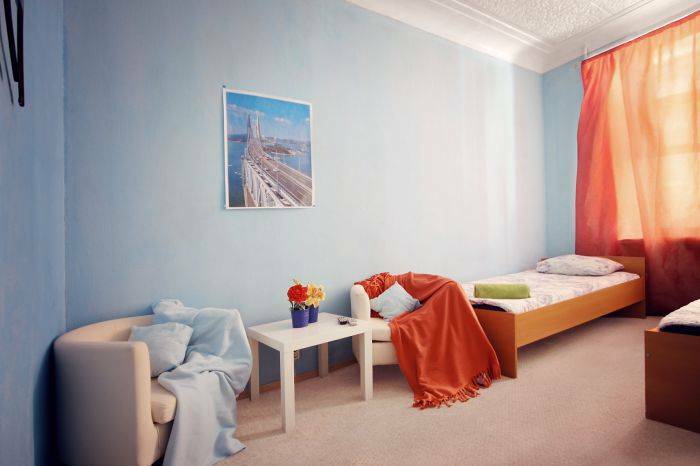 From our hostel you can reach almost all main sites of Moscow just walking. Red Square, Lenin Mausoleum, St Basil Cathedral, The Kremlin, Old Arbat Street, Bolshoi Theatre, Tretyakov Gallery, Pushkin Museum, Novodevichy Convent, New Arbat Street, Tverskaya Street, Christ the Savior Cathedral, Garden of Fallen Monuments, Russian State Library are all located in minutes from TNT Hostel Moscow. Also Gorky Park, Kolomenskoye, Victory Park, Vorobyovy Gory, VDNKh aka VVT, Botanical Gardens are easily accessible by metro (subway). The nearest Metro stations are 3-5 (Kuznetsky Most, Trubnaya, Lubyanka) or 7-10 (Okhotny Ryad, Teatral'naya, Ploshchad' Revolyutsii, Tverskaya, Pushkinskaya, Chekhovskaya) minutes walking. 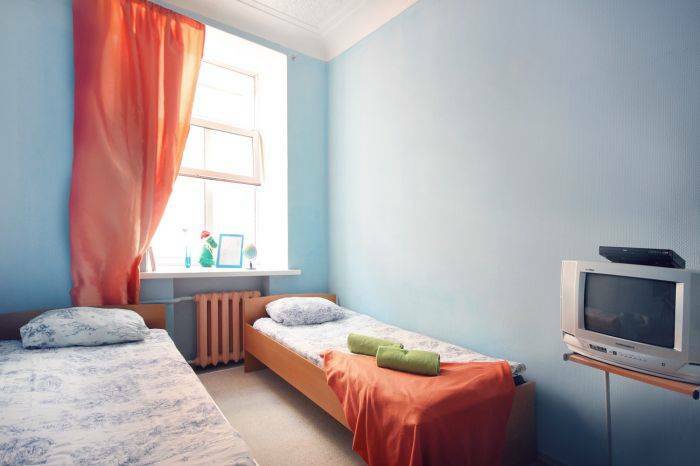 The second reason is that in fact TNT Hostel located in the one of the safest places in Moscow, small quite sidestreet within the Central Bank of Russia and Federal Guard Service buildings. 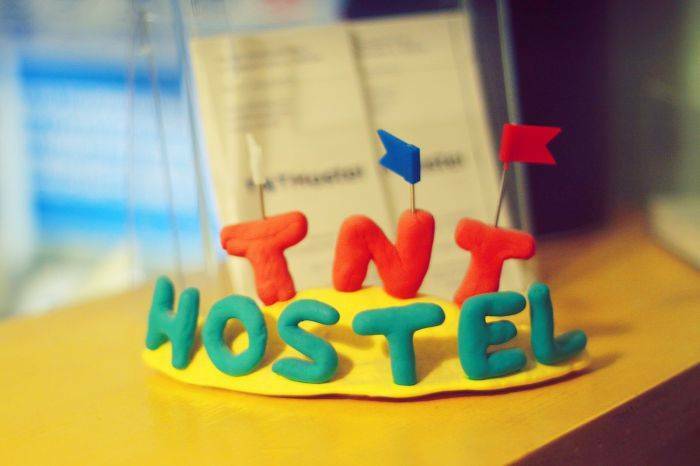 Whatever your interest TNT Hostel can help you have the time of your life visiting Moscow. From our hostel you can reach almost all main sites of Moscow just walking. Red Square, Lenin Mausoleum, St Basil Cathedral, The Kremlin, Old Arbat Street, Bolshoi Theatre, Tretyakov Gallery, Pushkin Museum, Novodevichy Convent, New Arbat Street, Tverskaya Street, Christ the Savior Cathedral, Garden of Fallen Monuments, Russian State Library are all located in minutes from TNT Hostel Moscow. Also Gorky Park, Kolomenskoye, Victory Park, Vorobyovy Gory, VDNKh aka VVT, Botanical Gardens are easily accessible by metro (subway). The nearest Metro stations are 3-5 (Kuznetsky Most, Trubnaya, Lubyanka) or 7-10 (Okhotny Ryad, Teatral'naya, Ploshchad' Revolyutsii, Tverskaya, Pushkinskaya, Chekhovskaya) minutes walking. 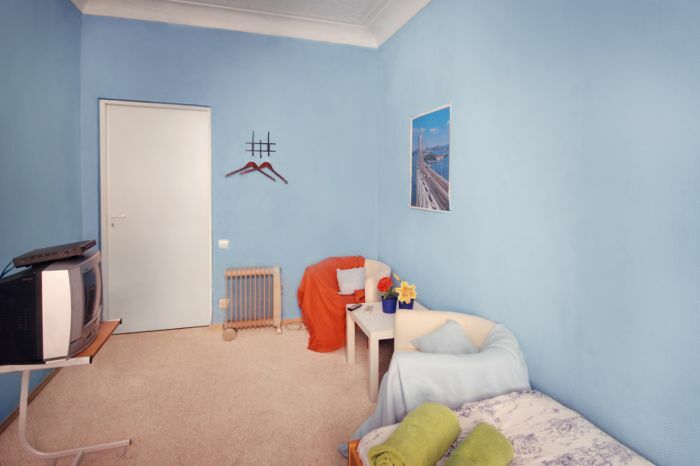 3 mins walking, open 09:00-23:00, 5/7 Rozhdestvenka st. In a menu more than 100 dishes of house kitchen prepared under own recipes. Any of them can be taken away. We accept cash, VISA, MASTERCARD, Paypal, bank wire. Our cancellation policy allows you to cancel your reservation up to 24 hours before the date of your arrival. Please note that this period starts 24 hours before the DATE of your arrival NOT YOUR ESTIMATED ARRIVAL TIME. Remember we will charge you a cancellation fee equivalent to the cost of the first night accommodation for a No Show or a cancellation within less than 24 hours notice. 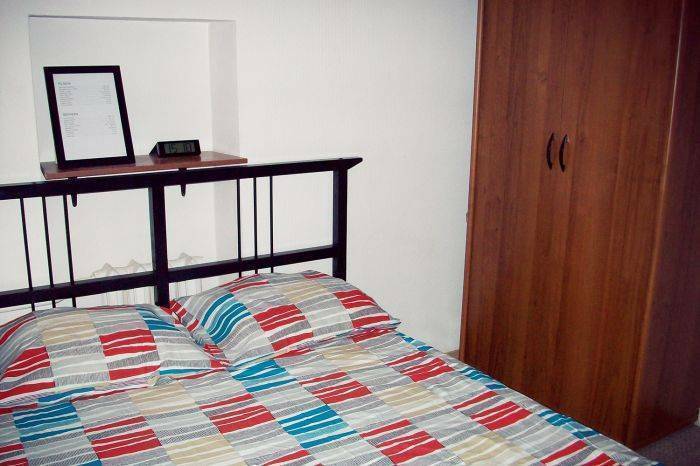 * Any cancellation 2 weeks or more — full refund, excluding 10% for bank transfer. We are located at Metro Kuznetskiy Most, on the Magenta line. Take the Кузнецкий Мост Metro Kuznetskiy exit. At the metro station Kuznetskiy Most platform between the trains, look for the sign that says 'Kuznetskiy Most' (in Russian Letters it is spelt as below). The sign is in the middle of the platform hanging from the ceiling and is quite small. Follow this sign toward Rozhdestvenka Street and exit the metro station taking the escalators. At the top of the escalators walk through the glass doors, then pass throught the any of two ARCs, turn RIGHT and walk about 2 mins till you see a 'Liliental Bar' from right hand. Turn left to Zvonarskiy side street and walk downwars till you see building 5 (Dom on russian). Building 5 is next after the Bank UNICOR. The door entry code is ''6 # 6 6 9'' (or can be not locked at all). Enter the stairs and we are on the 3rd floor, left door. Take the airport express train (cost 250RUR, 40 minutes, trains depart every 30-60 mins) to Savelovskii Metro station, north of Moscow on the gray line. Click here for the train schedule. Or take the bus see below. You can take the shuttle bus from outside the airport (50RUR, $2, 45 minutes), to the metro station Rechnoy Vokzal, which is the last stop north on the dark green line, or the shuttle bus to Planernaya Metro which is the last stop north on the purple line (our line). Take the airport express train (cost 200RUR, 45 minutes, trains depart every 30 mins) to Paveltskaya Metro station, south-east of Moscow on the brown and dark green line. Click here for the train schedule. Minubuses link the airport to Yugo-Zapadanaya Metro station, last stop south on the red line (cost 50RUR, 30 minutes). 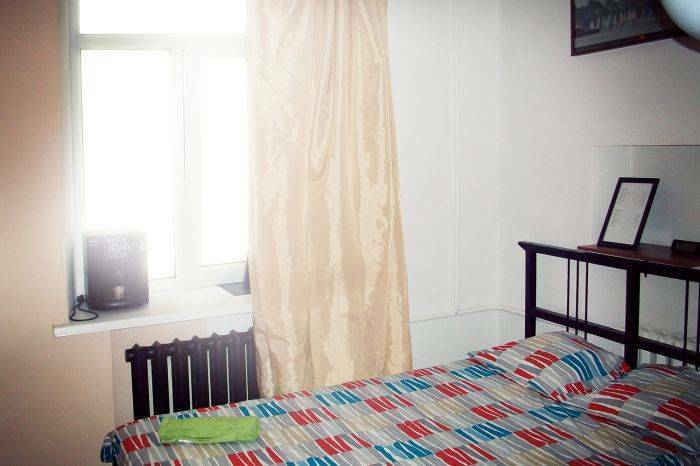 Or take the airport express train (cost 200RUR, 45 minutes) to Kievsky train and metro station. Click here for the train schedule. In all cases take the metro to KUZNETSKIY MOST metro station and follow the instructions above.